With the huge surge in the amount of Android devices being released every year, it is natural that droid fans like us would be tempted to upgrade our devices. Though buying a new smartphone or tablet is exciting, there are some little hiccups that are associated when moving your apps to your new device. One of the biggest hiccups is, of course, that of backing up your installed applications. Every time you use your device to play a game, write e-mails, or even send a tweet, the application data is saved on your device. However, when you move to a new tablet or smartphone, you might be able to install all your previous apps, but you won't be able to get back your saved data. So, if you're a real-time strategy game fan for example, moving to a new device will force you to lose all your progress. Thankfully, though, there are some simple solutions that will help you fully backup your Android apps to either your SD card, or to the cloud. And, no need to worry. This method is completely safe, free, and doesn't require rooting at all. 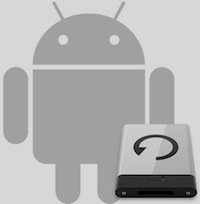 So, if you're looking for a simple solution to backup your Android apps, read on. Install Helium on your Android smartphone or tablet by going HERE. If you want to backup your apps to the cloud, you'll need to buy the Premium version HERE. Since this application is cross-platform, you can install it on Windows, Mac, and Linux as well. Simply click on the icon found on their website that corresponds to your desktop OS and install the software. For Linux users, the software comes in the form of a shell script. So, if you will need to use the command line for this one. Connect your Android device to your computer. Then from the Helium app, select the applications you'd like to backup. Once you're done, you can either backup the apps to the cloud or you can restore it from a previously taken backup. When it comes to cloud backup, the premium version of the app can backup your apps to Box.net, Google Drive, and Dropbox. 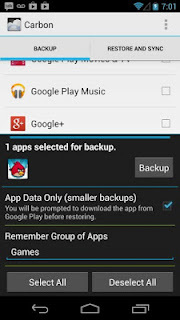 You can set backup schedules and Android-to-Android sync. If, however, you're using the free version, you can backup the apps to your SD card and then to your PC. From there, you can drop the data to your Dropbox or your Google Drive and have it sync up directly to the cloud. Though this process might be a bit tedious, but in the end you'll have a perfect syncing solution for you without any cost.